Why Choose a Jane Lewis Carer? Drum roll…. Jane Lewis and Jane Lewis International are delighted to announce that we have been shortlisted for 5 of REC’s Institute of Recruitment Professionals IRP Awards. Each of the above categories focuses on a different area of our recruitment business, from the excellence of our staff to our candidate experience. Being shortlisted in so many areas is testament to the efforts of our staff who always go the extra mile to be the very best they can be. North West Nursing Branch Manager, Beth Daniels has been shortlisted amongst nine others for Business Manager of the Year. Beth joined Jane Lewis in 2016 to take over a struggling branch with a team of dedicated but demotivated staff. By the end of her first twelve months the branch had doubled in size and, now, it is one of the best performing branches of Jane Lewis. 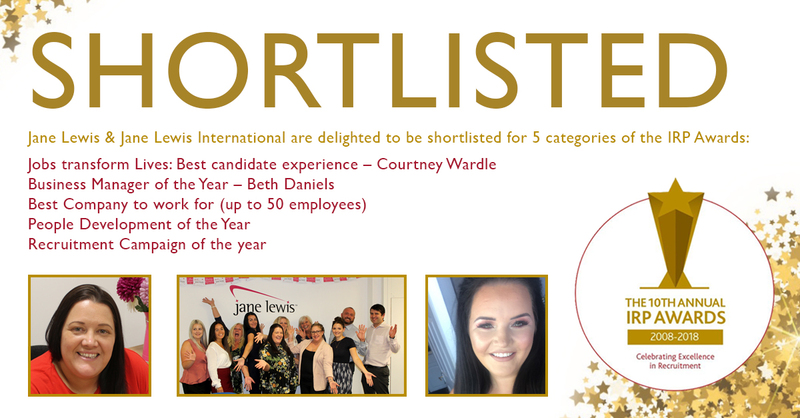 International Manager, Courtney Wardle has been shortlisted alongside three other nominees in the ‘Jobs Transform Lives: Best Candidate Experience’ category. Good luck at the IRP Awards! We look forward to supporting our shortlisted nominees at the IRP Awards ceremony on 29th of November. 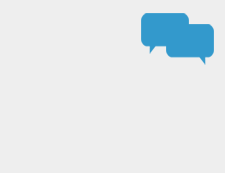 To speak to Beth about North West Nursing opportunities, please call 01244 404080 or email beth@janelewis.co.uk. And to discuss international nursing opportunities with Courtney please call 01244 404080 or email courtney@janelewis.co.uk. Jane Lewis provide nursing agency services, complex care packages and home care services across the UK.